Wolverton stay fifth in Cherwell Division 2 after losing to Horspath 2nds by five wickets on Saturday. After their game last week against Leighton Buzzard was cut short by rain, Wolves returned to the field to bat first against Horspath, but after a strong start, lost a flurry of quick wickets to put them on the back foot - going from 67-1 to 87-5. 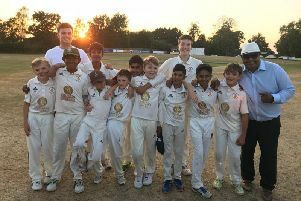 Eventually bowled out for 161, Wolves’ bowling attack did well to take three wickets for 10 runs to leave the visitors 61-3, but Dominic O’Connor’s 56 ensured Horspath (167-5) the win with five overs to go. Wolverton play Oxford 2nds next Saturday.